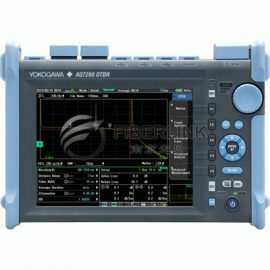 AQ-1200 – Nanjing Fiberlink Communication Technology Co., Ltd.
AQ1200A 1310/1550 nm Standard model with the same wavelengths used for communication services. 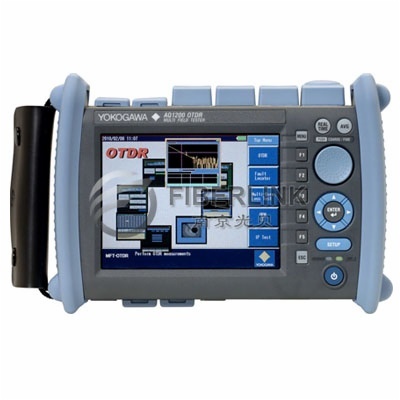 AQ1200B 1625 nm Models with a wavelength dedicated for maintenance of live fibers. 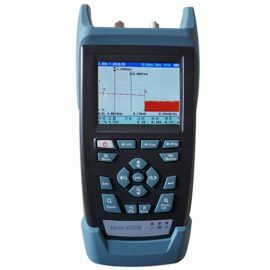 AQ1205A 1310/1550 nm This High dynamic range model can accurately measure the trace even after the splitter in a PON system.Thus this standard wavelength model is highly suited for high port count PON networks with up to 64 ports splitters. AQ1205E 1310/1550, 1625 nm These tri-wavelength models offers high dynamic range and has two ports. One port offers the communication wavelengths while the other port is dedicated for the maintenance wavelength. Thus this model is ideal for use in both installation and maintenance applications. The high dynamic range feature can accurately measure the trace even after the splitter in a PON system. Thus this is highly suited for high port count PON networks with up to 64 ports splitters. © 2016 Nanjing Fiberlink Communication Technology Co., Ltd. | All rights reserved.